When will I get my order? : Your order will take 1 1/2 weeks to process; add ship time from MA. Please refer to this map (Click here for map) to calculate shipping time. 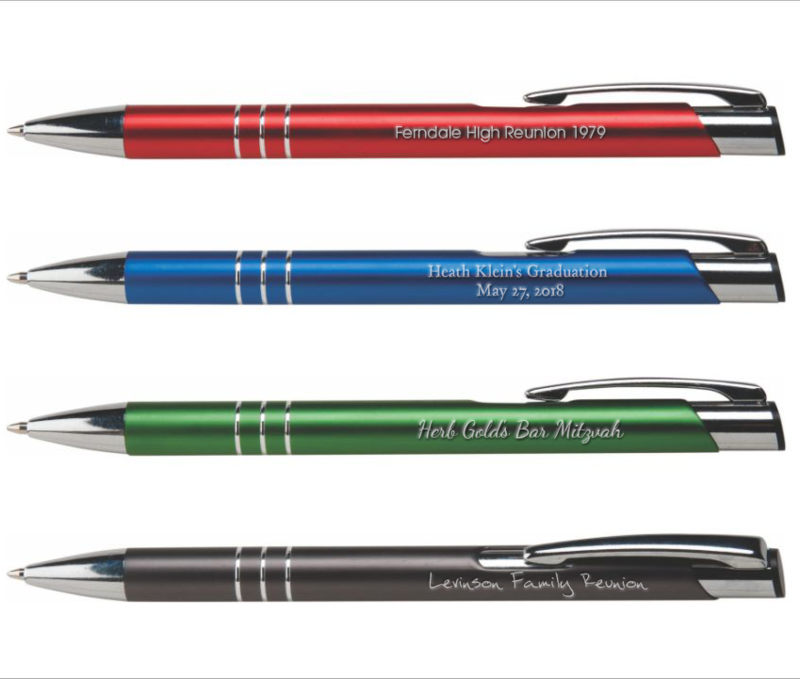 Those who receive these custom ink pens will love the smooth writing, elegant style, and silver laser engraving of their message or logo. 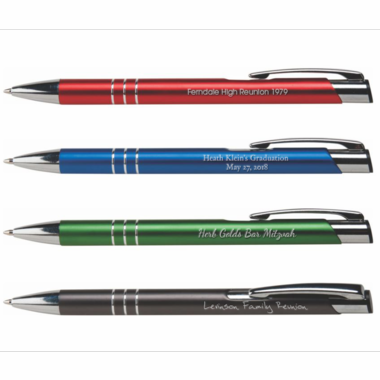 Try one on us by sending us an email with the pen you would like sent. Indicate the item number, color, and your shipping address in an email sent to: info@cool-party-favors.com. It can take 1-2 weeks, as the pens are sent via US Mail. Each ballpoint pen offers blank ink and is protected by a cellophane slim bag. The imprint area is 2" x 1/4" with the option of 2 lines of 32 characters at 8pt.